Ruben Gonzalez joins Will on this episode of the Salesman Podcast to put fear into perspective to show that it should never hold salespeople back. The show starts with Will asking Ruben what makes him different and what allows him to ignore fear when it would stop others in their tracks. Will then dives into how Ruben personally deals with fear and how that has had dramatic effects on what he has been able to achieve in his life. ClearSlide reduces sales cycle length and decreases time wasted on unqualified leads by providing you real­time analytics into how your customers interact with content. It enables you to track when prospects open emails or views documents you’ve sent, and helps you engage with your customers. Ruben is an expert on creating desired results…fast. Organizations use his strategies to get their people to achieve more than ever before. 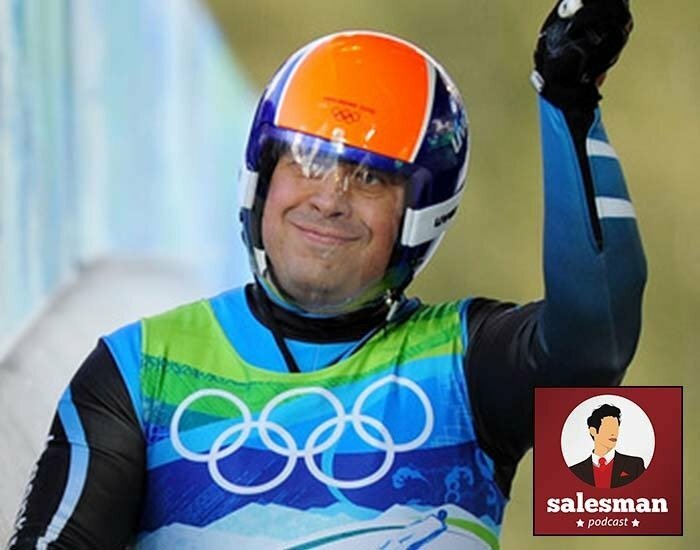 At the age of 21, Ruben, decided to compete in the Olympics, took up the sport of luge, and 4 years later was racing for the Gold against the best in the world. He went on to become the only person to ever compete in four Winter Olympics EACH in a different decade. Using his strategy for creating fast results, he soon became a bestselling author, business consultant and speaker, helping corporations and associations around the world create and sustain business growth…fast.